Amit is currently the chief executive for Laureate Europe (Spain, Portugal, Germany, Morocco, Cyprus and Italy operations). Previously, Amit was chief executive for Laureate South Asia region, India, Malaysia, Indonesia and Singapore and also the chief executive for INTI Education Group. Prior to these roles, Amit served as the chief operating officer of the University of Technology of Mexico (UNITEC), one of the Laureate’s largest and most successful private institutions. 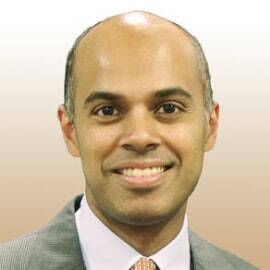 Prior to joining Laureate, Amit was vice president of DeVry University in Chicago. Before that, he held positions with Siebel Systems, Bain & Company, and also spent several years teaching and researching in the US and Asia.